Our first litter of F2's has arrived. 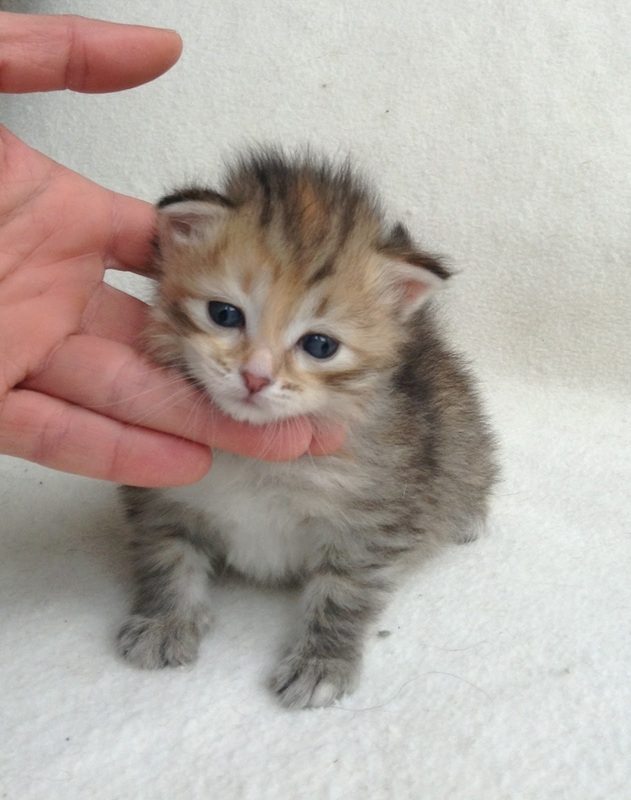 This is the first litter sired by Baldai, a Red tabby & White F1 male. Baldai is the son of our Regional Winner, Supreme Grand Champion Buslay and foundation female from St. Petersburg. 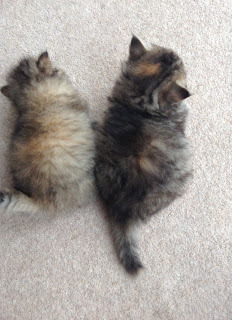 I was expecting to get at least one tortie-tabby in a litter and was very pleased when two little tortie girls were born. What I certainly did not expect from this mating was to get a Golden tortie-tabby. This is the second time I am getting Golden kitten from a foundation line with unknown ancestry. These Golden kittens tend to be a lot colder shade of Gold at birth and get characteristic apricot coat by the age of 8 months. 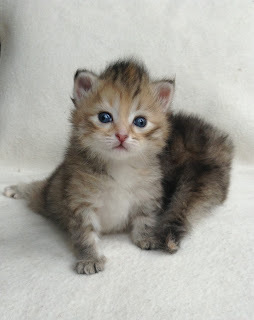 The little fluffball is the smallest but the most outgoing of the two. There are only two kittens in this litter, hence they get plenty of milk and attention from their very protective mum. Pictures below were taken today at the age of just 3 weeks.